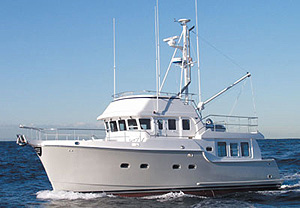 The Great Harbour N37 trawler has the range, accommodations, and comfort for couples interested in long-distance travel. 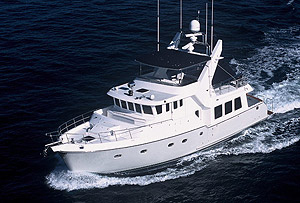 Here’s a versatile cruiser with a stable hull and plenty of liveaboard space, so impressive that it made our top-five list of Affordable Trawlers under 40 Feet. Combine those attributes with shallow draft (2'10") and long range (1,500 nautical miles) and you have a trawler that can offer an adventurous crew more than a few intriguing possibilities. The Great Harbour N37 has legs, too. 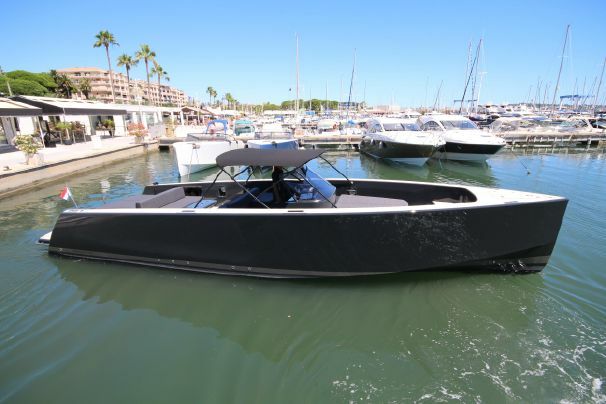 Mirage Manufacturing has been building the design for about 12 years; that’s impressive when you realize that many production boat builders struggle to keep a single model in a line for seven years. The N37 has staying power because it’s found a following among families, and also with couples who like the way this passagemaker is small enough for two people to handle in all types of conditions. 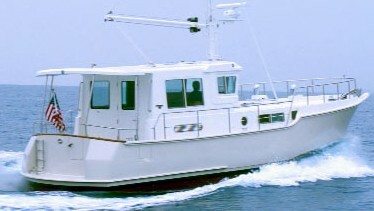 The Great Harbour 37 is a trawler intended for serious passage-making. The N37, it seems, is built to be seaworthy and safe. 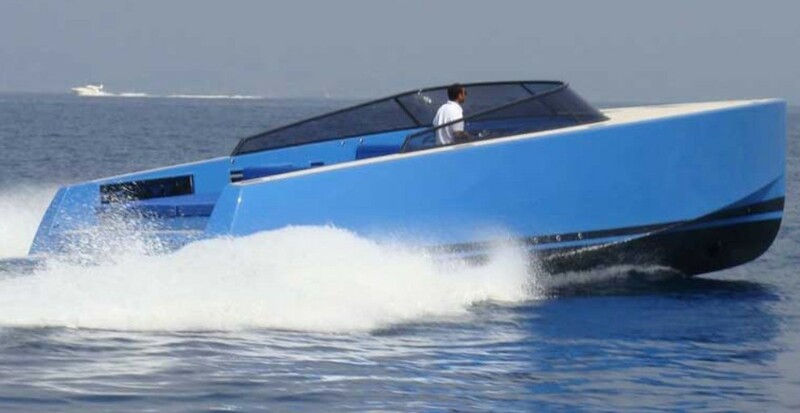 A massive three-foot railing built of two-inch diameter stainless steel, for instance, protects the huge foredeck. We also like the two-foot-wide sidedecks that lead aft to full bulwarks protected by overhangs. Those features, coupled with a reverse-raked windshield, are salty indeed. And these robust elements emphasize the fact that the Great Harbour is a serious cruiser. It always has been. Back when hull number three of the N37 was launched, it went through the Panama Canal and on to Hawaii on its own bottom; it was the smallest twin-engine powerboat ever to make that crossing. 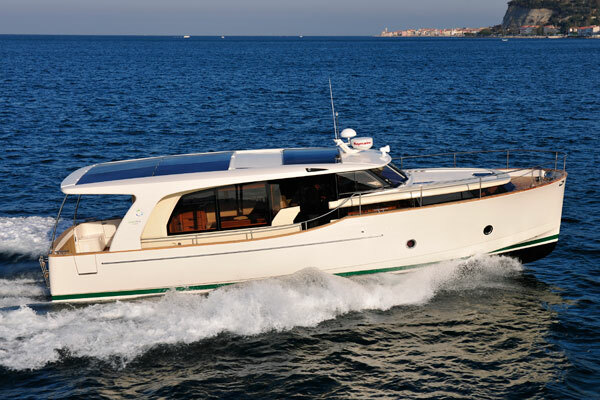 The N37 is available in two versions: with and without a flybridge. On the main deck, the deckhouse looks traditional with its mahogany interior and teak-and-holly sole. When you enter from the cockpit you step into the saloon, where there’s a dinette to port (it converts to a queen berth) and a settee to starboard. Forward of this entertaining space is the bridge, with a seat for the captain to starboard and a double-wide bench facing a chart table to port. Steps between the seat and bench lead down to the accommodations level. While the master stateroom forward is well done with plenty of stowage and two big hanging lockers, the key feature on this level is the full-size galley to starboard, arranged in an uber-efficient U-shape. It has home-size appliances (including a 23-cubic-foot refrigerator and double sink) and more counter space than you’ll ever need for a spread tailored to feed a hungry crew. Part of the countertop is cantilevered to accommodate a pair of bar stools, which makes this a good place to eat and socialize; mahogany and teak warm the space. There’s one more interesting spot on the accommodations level. Opposite the galley, there’s an area with settee that converts to a double berth. You can sleep here, yes, but many Great Harbour owners choose to convert this space to an office. It’s a nice option for those who want to start cruising before the retirement years officially begin—and then keep going, and going, and going. 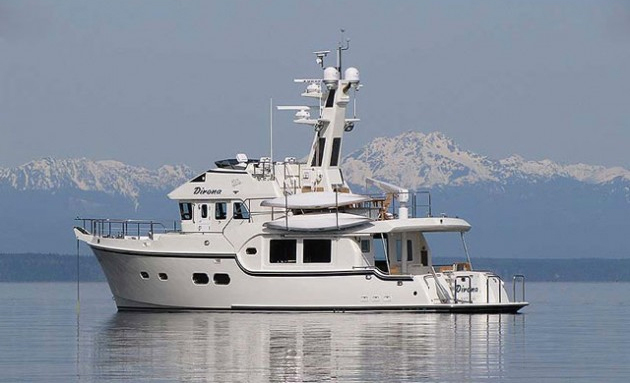 Other Choices: The Nordhavn 40 is another long-range passagemaker, but this one has more traditional exterior lines. 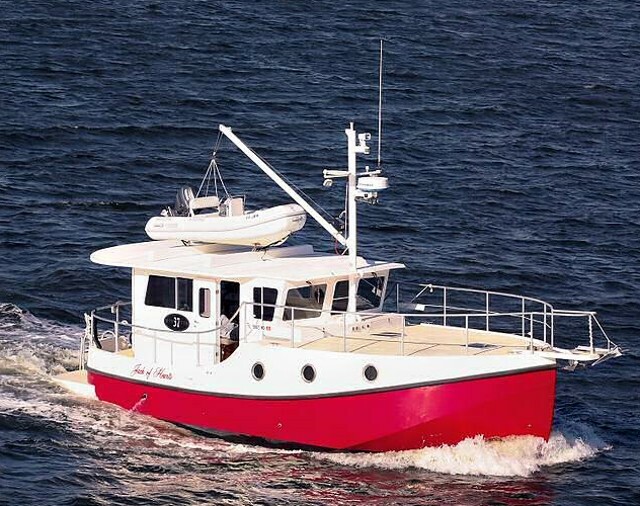 A Nordic Tug 37 may also be of interest to those looking for a trawler that’s comfortable for extended voyages. See Great Harbor listings here. For more information, visit Great Harbour Trawlers.